This are hot news. The US promoter is planning further expansion. The UFC has a new owner, but it seems it does not change the plans of the organization. In the podcast Unfiltered UFC, Dana White asserted that the biggest MMA organization in the world continues to expand into new markets and one of its main objectives is the greatest country in the world. The event in Russia would be honored by the struggle Khabiba Nurmagomedov ( 23-0 , 7-0 in the UFC , ranked # 1 UFC ) . It is not clear but such event could take place in the first months of next year. It is very interesting to find out how the organization of M-1 Global think about it. Until now M-1 Global, was the number one in Russia. Update M-1 Global. Take a look at the official promo video of Kunchenko vs Grabovic. M-1 Challenge 70 is the nearest upcoming MMA event. It is set on Septermber 10 in the city of Syktyvkar, Russia. The main fight of the evening is a welterweight title fight between reigning champion Alexey Kunchenko (13-0) and Maxim Grabovich (4-1). Rafal Levon encounters Musa Jangubaev ! Two of the best middleweights will clash in in Germany in Rüsselsheim on 29 October. Rafal Levon is known like a sore thumb in Germany . He fought on numerous events in Germany and faced names like Abu Azaitar or Kerim Engizek caged . However, the pole is very popular abroad , since he was already at M - 1 or PLMMA in action . 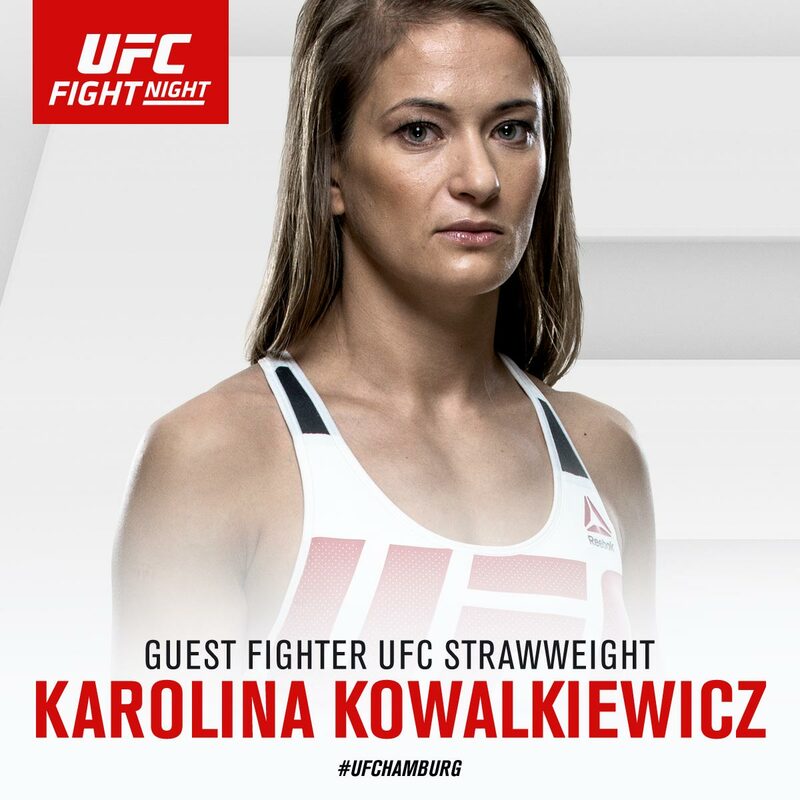 Karolina Kowalkiewicz will be the first special guest at the UFC in Hamburg, like today announced by the federation. Kowalkiewicz Carolina (10-0) very successfully began her career in the UFC. In the first fight at an event in Orlando she defeated by decision Randa Markos, then also by the decision turned out to be better than Heather Jo Clark, in the third battle Carolina fought against the extremely talented athlete, Rose Namajunas, she defeated by split decision, the start has been awarded a bonus as fight night. Most likely, after three straight wins in the UFC, the nearest rival of Karolina will be Joanna Jędrzejczyk. Is it the fight we will have at UFC 205 in New York? For this information we have to wait, but for now let's enjoy it. In the division of strawweight of the largest federation in the world, there are two Polish fighters. This is an enormous success! The UFC Fight Night 93 will take place on September 3 in Hamburg, hall Barclaycard Arena. In the fight of the evening face each other Josh Barnett and Andrei Arlovski, while in the co-main event, John Błachowicz fights vs Alexander Gustafsson.